Powerful perfection for everyday use. Anyone who sands a lot of drywall will need powerful, reliable and economical equipment. That is why we have developed our MENZER PRO LINE drywall sanders. MENZER offers the perfect solution for any area of application, including high walls or angled spaces. All PRO LINE drywall sanders feature MENZER’s Longlife technology. It guarantees excellent work results and an extremely long service life, even in intensive, continuous operation. MENZER offers an extended 3-year guarantee for all PRO LINE machines. Drywall construction offers a great variety of versatile design options for interiors. That is why it continues to gain popularity in the commercial as well as the private sector. The requirements for drywall areas are becoming increasingly demanding – they should be precise, high quality and most importantly: perfectly smooth. That can only be done if joints, cracks and holes are professionally filled and meticulously sanded. That is where the premium quality drywall sanders by MENZER come to the fore. These machines were developed specifically for sophisticated drywall constructions and feature a long service life, high performance, reliability and excellent handling comfort. High walls or angled spaces – MENZER has the perfect solution for any requirement for drywall or other interior work. Drywall sanders are in their element when there are large areas for sanding. Our specialist drywall sanders (e.g. MENZER LHS 225 and MENZER LHS 225 PRO) are the perfect choice for sanding walls and ceilings up to a height of 2.50 metres without any need for ladders or scaffolding. Our VARIO machines like the LHS 224 PRO VARIO offer superior handling comfort. The adjustable length of 1,550-1,950 mm can be individually adapted to various ceiling heights. Our compact drywall sanders like the MENZER TBS 225 and the MENZER TBS 225 PRO are the perfect companions for sanding tasks in tight or angled spaces, in stair wells or when working on scaffolding. Their incredibly light weight of under 3 kilograms, a powerful motor and the compact design allow for high impact, sustained sanding work. MENZER TSW 225 and MENZER TSW 225 PRO were designed specifically with drywall sanding in complex environments in mind. The very practical replaceable head system makes both models perfectly suited for large area sanding as well as corner or edge sanding. 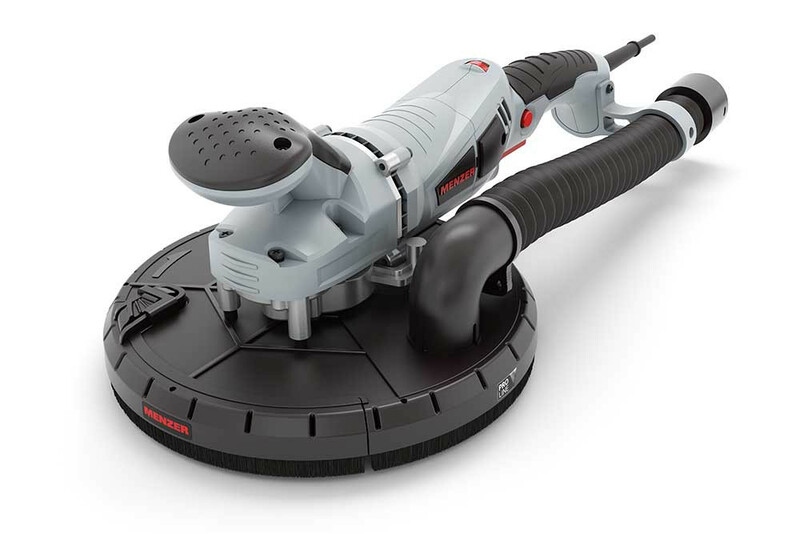 Depending on which cup wheel is used, the drywall sander action automatically changes from a rotational to a stroke movement for optimised sanding results. The MENZER TSW drywall sanders feature an ergonomic design, a low intrinsic weight and easy handling. 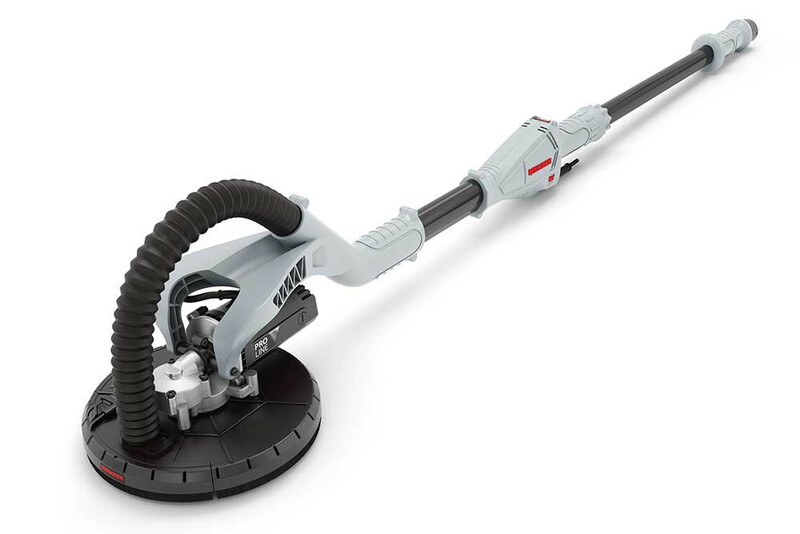 The replaceable heads come with multiple perforations to ensure a healthy work environment in combination with an industrial vacuum cleaner and the integrated dust extraction unit. Drywall sanding goes hand in hand with large amounts of fine dust, which pose a serious health hazard. 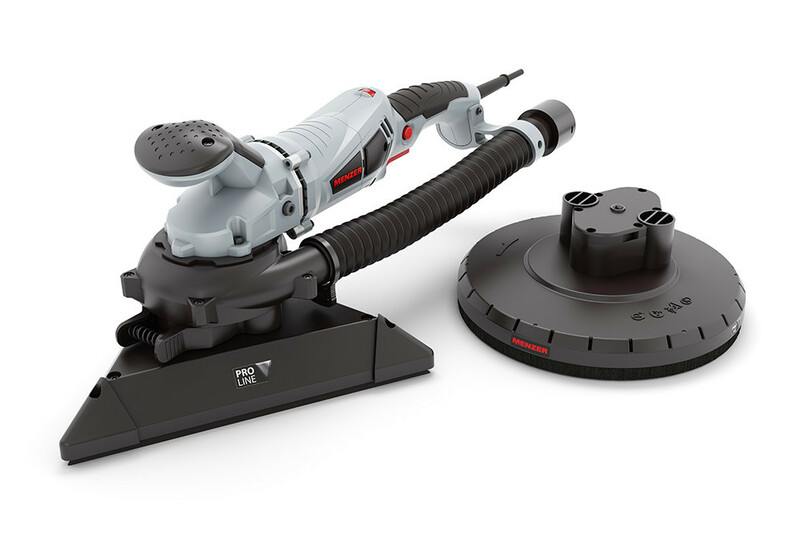 That is why MENZER has developed their AV technology with an integrated dust extraction unit which allows sanding with very little dust in the air even with no industrial vacuum cleaner connected. 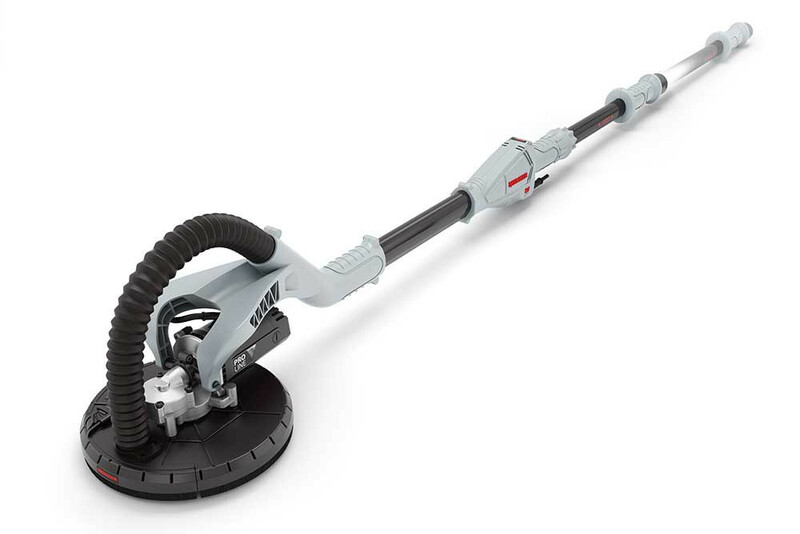 The dust is blown directly into the dust class M-certified extraction kit via a turbine located on the driving disc. The innovative AV technology is featured in the drywall sanders MENZER LHS 225 AV, MENZER LHS 225 VARIO AV, MENZER TBS 225 AV and MENZER TSW 225 AV. It ensures optimised health protection during drywall construction work, where health-hazardous dust and dangerous respirable fine dust is generated. The integrated dust extraction unit guarantees a comfortable and most importantly non-hazardous sanding environment. The PRO LINE drywall sanders by MENZER have been developed specifically for professional and intensive use. Our MENZER Longlife technology is the answer to the special demands of professionals from trade and industry in terms of equipment. In daily use, our machines stand out with powerful motors, smart electronics and excellent work comfort. BASE LINE by MENZER is the perfect solution for tradesmen and DIY enthusiasts, who don’t spend all their time sanding walls and ceilings. The solid design and ease of use of this equipment matches all the requirements of semi-professional use in drywall construction and renovation jobs. BASE LINE drywall sanders like our MENZER TBS 225 are powerful, reliable and robust.